Do You Suffer From Acne and Dry Skin? Acne experts used to think that only people who had oily skin got acne. Some doctors even advised their patients to dry out their skin by working or lying out in the sun to get the deepest tan possible. People with dry skin get acne too. Although a little sun nearly every day helps the skin make vitamin D, drying out the skin is no longer considered to be a viable and effective treatment for acne and dermatologists will attest to that as well. In fact, drying moisture out of the skin, or removing oil from the surface of the skin with methods that dry moisture out of the skin, is now known to make acne worse. Dry skin requires different kinds of acne care products. Many people assume that if they have acne, they must have oily skin. Acne can occur on dry skin. 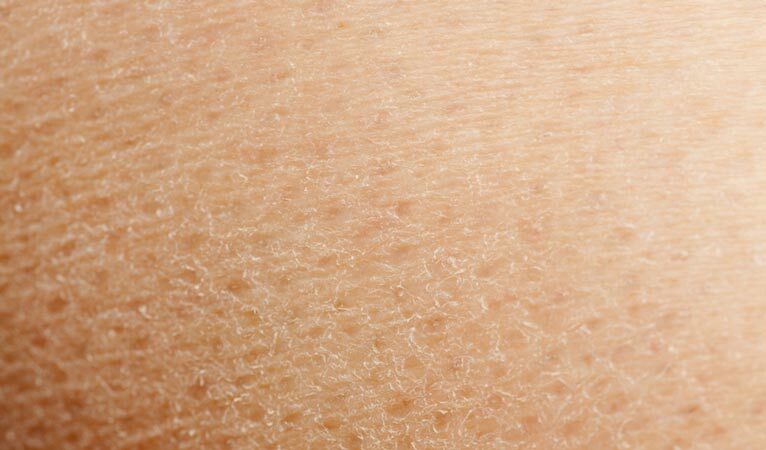 This article has a quiz to help you determine whether you have dry skin. Rubbing alcohol kills dry skin. If you owned a Mercedes-Benz, you would not refer to the owner’s manual for a Volkswagen Golf. If you own a Vespa scooter, you don’t need instructions on how to operate a tank. But reaching for the wrong instruction manual is exactly what many people do when they try to treat their skin with treatments that are more appropriate for oily skin. While the types of acne and whether you get acne as an adult or a teenager play a role, it is all-important to identify your skin type to both effectively prevent, treat, and potentially cure acne from home. The idea that using sudsy detergents to scour oil out of the skin followed by a splash of isopropyl alcohol is so common that many people assume that if they have acne, they must have oily skin. But the fact is, acne occurs in dry skin, too. Take this multiple choice quiz to determine whether dry skin is your acne issue. a. Shiny, glistening in the sun, even without any skin care products. b. Normal, like it always does. c. Tight, like it had shrunk. d. Noticeably cracked and/or flaky. a. Shinier than when you did your cleansing. b. The same as when you did your cleansing. d. Ash-colored, rough, and/or flaky. a. Crumbly, flaky, or caked. 5. Look in a magnifying mirror. How many pores the size of the end of a pin or greater do you see? b. Lots, but mostly across the nose and cheeks and around the eyes. b. Combination oily and normal or dry. c. Dry but not cracked. a. Moisture-what? I never use moisturizer. d. Usually dry, with a graying of skin tone. Give yourself 1 point for every “a” answer, 2 for “b,” 3 for “c,” and 4 for “d.” Total your score. If your total is 25 points or less, you have oily or combination skin. If your total is between 25 and 35 points, you have normal skin. If your total is 35 points or more, you have dry skin. Dry skin easily parched and flaky, calling out for moisturizers. Tight, dry skin easily traps acne bacteria in its small pores. Because the pores are small (and drying out the skin makes them even smaller), the immune system can easily cause inflammation throughout the entire pore, creating multiple, small, red pimples. The biggest offender in creating dry skin is rubbing alcohol. In the old days, rubbing (isopropyl) alcohol was the standard of treatment for acne. After all, you could feel it working. It made your skin feel cool, as it evaporated. It made your skin feel tingly, as it killed both bacteria and the top layer of your skin. Acne care products that contain alcohol, especially acne products that use alcohol to dissolve essential oils and plant extracts that can dry out skin even more, make dry skin even more pimple-prone and in doing so actually becomes one of the causes of your acne. L’Oreal Phyto-Black Lift Radiance Boosting Lotion sells for US $45 per fluid ounce (30 ml). Mixing black tea extract and alcohol, this lotion claims to restore moisture in the skin with the healing power of tea. It’s a little odd that that black tea is both a terrific healing ingredient and L’Oreal only uses it in this one product. It’s downright harmful for the product to be mostly rubbing alcohol. Phloretin CF, which sells for US $150 an ounce, uses a “biodiverse” collection of floral essences mixed in denatured alcohol to restore antioxidants to the skin. There are two major problems with this product for dry skin, other than the fact that there is no reason to believe that a mixture of different kinds of flowers has any particular value in keeping pores healthy and open. One problem is that the more essences there are in a product the more allergies it can cause, and the other is that denatured alcohol also dries out the skin. You can read through the many articles on this site and find leads for many excellent products for acne on dry skin. But if you don’t have time to sort through them all, try your acne treatment in a system such as Exposed Skin Care. I'm in my mid thirties and have suffered from acne since my early teens. I have tried every product and medication under the sun to get rid of it and have never come across a product as effective as Citrus Clear. My acne had cleared up within a week and six months later my skin still looks fantastic. Whenever I get a pimple or two around the chin I just slap the Citrus Clear Spot Treatment on overnight and by the morning they're completely dried out. I should state that I very oily skin and this product does tend to try out the skin a lot so if you suffer from dry skin to start with it might not be ideal for you.